I signed up with the Postcrossing website exactly a year ago. What is Postcrossing.com? In a nutshell, it's a website that lets users from all over the world exchange postcards. The site has been around since 2005, but I had not heard of it until 2017. I found out about it in penpal Facebook groups because people brought the term up now and then. When I was a kid, I had quite a collection of postcards. At first, my best friend from my school days sent them to me from places her parents took her to. Plus, we wrote each other letters and postcards when school was out for the summer and the holidays. From there, I received occasional postcards from pen pals. So, when I found this site, it wasn't a new concept to me, just an updated one that uses today's technology. Of course, since you exchange real postcards as opposed to virtual ones through email and such, you still have to wait to get your mail. This can take months, depending on postal service. Nothing has changed there. (Aptly named, snailmail only seems to know one pace, no matter the century or decade). How does it work? At first, you can request up to five addresses. Each address comes with an ID number that starts with two letters that denote the sender's country. In my case, my first postcard sent bore ID# US-4565250. If you send from Canada, your ID# would start with CA, and so on. Each ID corresponds to the amount of cards that were sent from that particular country. For my first card, it was the 4,565,250th card sent. Yup, that's over 4 million cards that were sent from the US when I drew my first one. (Now that number is over 5 million). You write that number on the postcard, fill it out with the address you were provided (could be to a member anywhere in the world), apply postage and write a message. You don't HAVE to write a message, I've gotten a couple of blank postcards, but since you're spending money to send it, why not? Isn't it bizarre to write a card to a stranger? No weirder than posting a tweet that everyone in the world can read. Plus, when you sign up to the site, you already know to expect mail from strangers. Anyway, once the person receives your card, they go on the website and register the ID number that's on the card. Once it's registered, your address gets given out to a random member in the world who requests to send a postcard. He or she writes his or her ID number on it. When you receive that card, you register the number, and the person who sent the card to you now goes into the available address pool. So, you don't exchange cards with the members who send you one, it's all random. That way, you never know where the next card is coming from. How do you know that every person who draws an address will mail a card? You don't. However, since a person can't receive a card until they sent one that got registered, it's in everyone's best interest to actually follow through. How do you know the person you send a card to will register it? What if they don't like the card or have something against your country? Again, you don't know. However, the stats on each individual's profile page show how many cards they sent and received. The algorithm keeps track of everything. So, if you don't register cards, the owners of the site will know and take action. Also, people mostly play nice. Most don't bring politics into this and simply want to get postcards from as many different places as they can. What about countries that have conflict with each other? As long as their countries have mail relations (most countries of the world actually do), it's not a problem. I did read about one case where someone drew an address of a place with which their country of origin did not have mail relations. They mailed the card (in an envelope) to a third party to have the postcard sent. However, with over 700,000 users from 214 countries, the odds are slim that you're matched with someone you can't send mail to. Are all countries in the world represented on Postcrossing? Out of 246 in the world, only 12 have never sent a card. 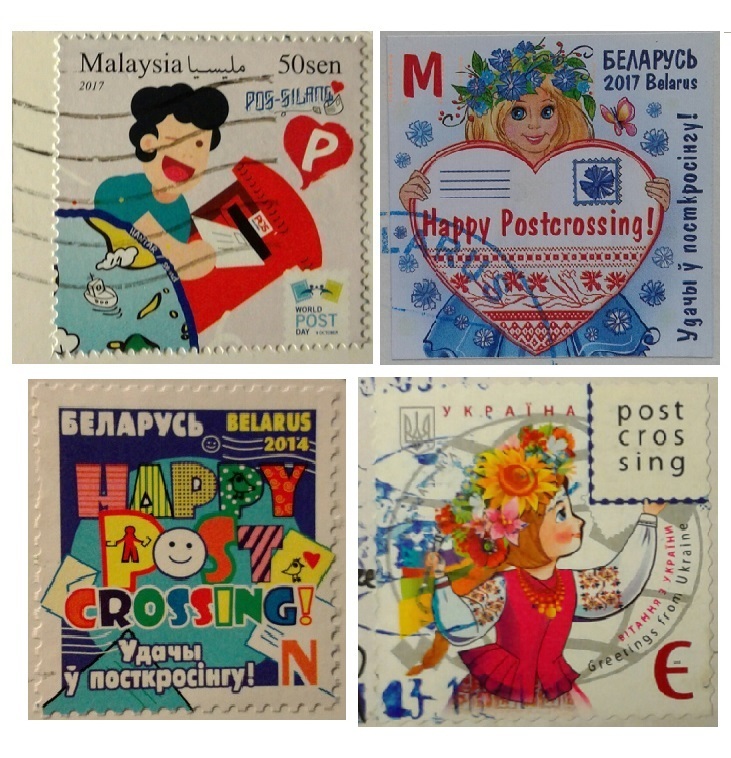 As of the time of this post, members of 214 countries have an account on Postcrossing. "But, there are only about 200 countries in the world." Well, the numbers Postcrossing uses includes dependent territories, special regions and special areas of geographical interest. According to the Postcrossing website, they use ISO 3166 standards for geographic classification. Where am I getting these statistics from? The site owners love stats and post them on the site. The stats update 24/7. Whoever does the algorithms, the programming and is behind the math must be Sheldon-smart! What happens when cards get lost in the mail? What if people draw an address but wait a few days or weeks before sending the card? After 60 days of obtaining an address they "expire," and you can choose to pick a new address. However, cards can get registered up to 365 days from the date that an address was requested. What if the sender of the card forgot to write the ID# on it? You can fill out a form on the website, and the site owners will help. I've used that function three times, and all three times they were able to get the ID# for me out of the system, so I could register the cards. What happens when people quit being active? After 30 days of not signing in, their address won't be given out, until they log in again. How many cards get lost/expire/end up in a black hole, etc? In my experience, about 2 percent of sent cards don't get registered. Is it safe? Well, the address isn't public. Only the user who sends a card gets your address. Plus, you can find anything online these days, so it's no bigger risk than any online activity. Of course, you can always use a post office box. Does this really work? Well, so far, almost 46 million postcards have been registered since 2005. That should give you an indication. Also, stats are displayed on each person's profile, and the sent/received numbers are pretty close together, whether the user has sent dozens, hundreds, thousands or over ten thousand postcards. Here is a fun fact for you: Did you know that there are 16 countries that issued Postcrossing-themed stamps? Some even have issued numerous Postcrossing stamps with different designs released in different years. (I've received four on postcards, two of those were from Belarus. You can see them above.). That's how big a deal this site is worldwide! I doubt though that the USA will join the ranks anytime soon. I checked out their requirements for releasing new stamp designs, and it's not looking good. Anyway, why bother doing this whole Postcrossing thing? Why not? Some people want to spend $7 on a cup of coffee, some pay for services that they can easily do themselves, some spend thousands each year on new phones, some want to obtain postcards. Why not just buy postcards online? Ah, but there really isn't just one answer. 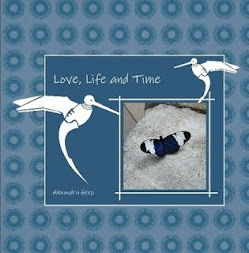 Some enjoy the surprise of not knowing where a card comes from, some like looking at the stamps that are on the postcards, some want to learn a bit about the person behind the postcard, some enjoy randomness in a scheduled-out life, or a little bit of all this. This seems nice, I would like to sign up.